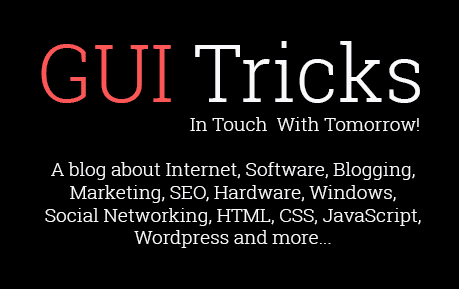 How To Delete Windows.Old Folder In Windows 10 | GUI Tricks - In Touch With Tomorrow! 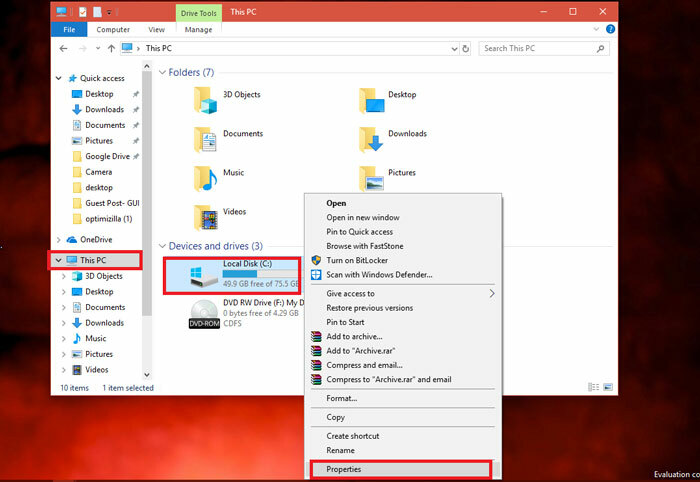 How To Delete Windows.Old Folder In Windows 10 - GUI Tricks - In Touch With Tomorrow! So you have recently upgraded your computer to the latest Windows 10 version, right? Aren’t you wondering where the old version of the OS is? Well, most people think that after installing the new Windows 10 the old Windows gets deleted. But that is probably not the case. It is still on the PC, and the C drive under the folder name ‘Windows.Old’. Don’t believe us? Well, you can check and if you want to know how to delete that folder then read on to find out. Surely, Windows.Old is a very essential for you if you discover the fact the new Windows 10 is not up to your expectations or you just don’t like it, although that happens quite rarely. Then with the assistance of the Windows.Old folder, you can quickly turn your computer into the way it was before. But then, the thing is, the folder takes up a lot of disk space on the computer, so for those who don’t need the folder, the smart thing to do would be to delete it. And for that reason, most of the users are always looking for ways to delete the folder or other older versions of the Windows to free up the disk space. After all, there is no reason to keep the folders that consume too much of the system and for no reason, right? 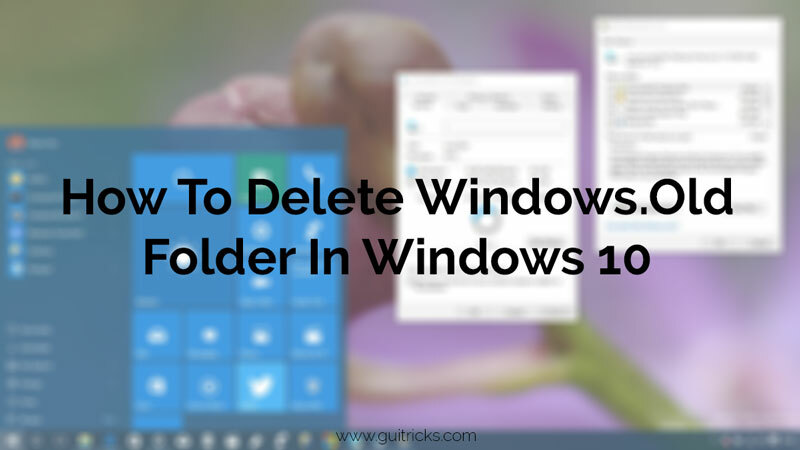 So, for those who want to delete the Windows.Old folder, here we are with a method where you can quickly delete it without any extra effort. Firstly, if you want to restore the old version back to your computer than deleting it won’t be a good idea. So make sure that you are all decided first. Secondly, if the consumed space by the old version of Windows doesn’t bother you too much, then you don’t have to worry about it as Windows 10 does the job of deleting it after 30 days itself. Thirdly, if you want to delete the old version and reclaim the disk storage, then this method will help you in doing so. The first thing that you have to do here is to open the Settings App. For that press WIN + I keyboard shortcut. Alternatively, click on Settings icon available on the Windows 10 taskbar. 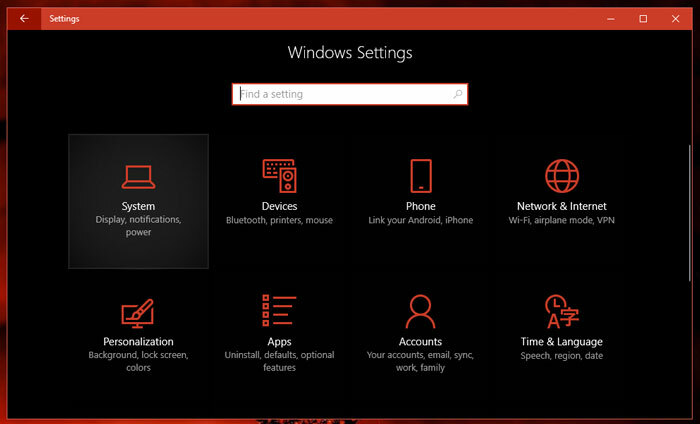 In the Settings, app windows click on the section named as System. 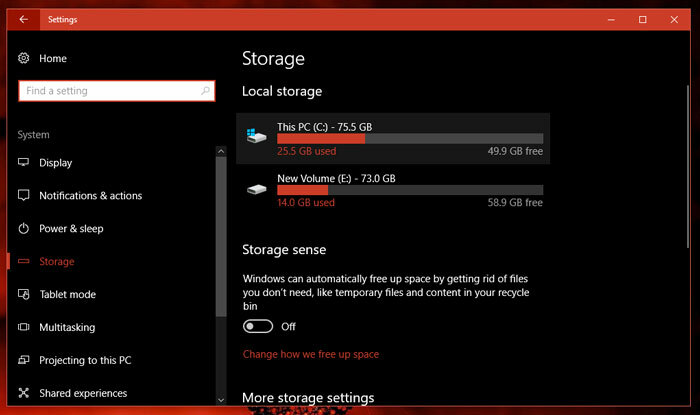 In the System Settings window, switch to Storage tab available on the left side. On the right side under Local Storage click on This PC (C:) drive (Windows installation drive). 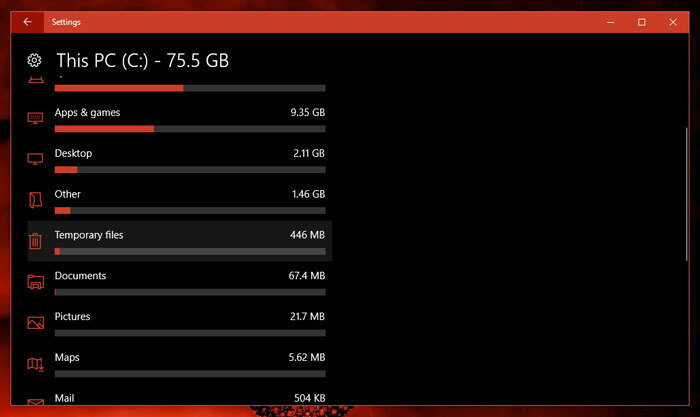 In the next Storage usage window, you will find out all the details about what are the things that are consuming space of your C drive. Wait for few seconds to completely load the details. Here you need to look for a title named as Temporary files and click on the same. In Temporary file window, you need to check the box for option "Previous version of Windows" and then click on Remove files button. Now, the process might take some time, and it depends on the size of the files. 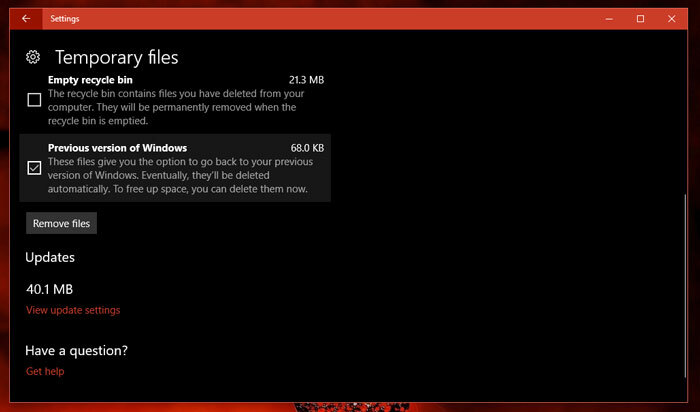 The process of deleting Windows.Old Folder is a straightforward if you go by this method. Press WIN + E to launch File Explorer. Alternatively, you can click on File Explorer icon available on the Windows 10 taskbar. Click on the This PC. On the right side make right click on the C: drive and from the context menu select Properties. 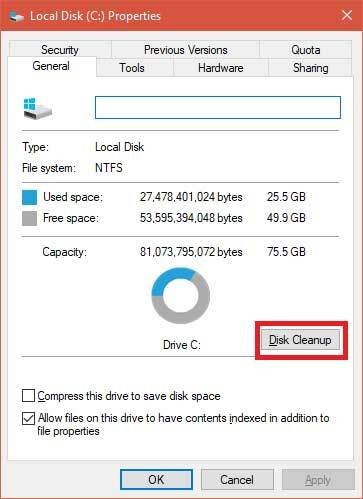 Here you need to click on the button named as Disk Cleanup. This will launch the Disk Clean for C: window. 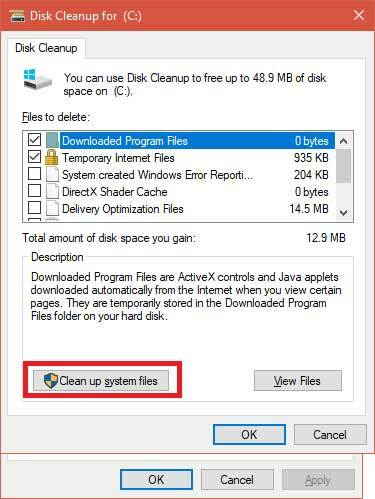 Here you need to click on the button named as Clean up system files. 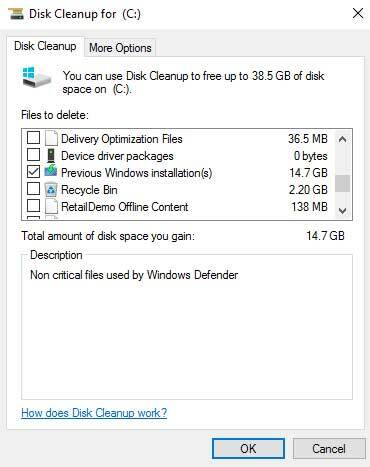 A small disk cleanup dialog will start looking for all the disk file and later show you Same disk cleanup for C: drive windows. Here you need to check the box for an option named Previous Windows installation and click on OK button. Your previous version of Windows will be deleted successfully. I hope you find it useful. Himachali, Mechanical Engineer, Snooker Lover, Avid drinker of Scotch, Content Creator for Geeker Mag, Traveler and shorter than you (probably).